Use hosted videos from YouTube, Vimeo, Dailymotion, Wistia, or HTML5 videos. They all play and look amazing with UMBG. Want to use an image instead, no problem, UMBG lets you use one or more images to display beautiful backgrounds. What about just a color background, may be with a pattern? Yeap, that too! You can display full screen video, image, and/or color backgrounds. 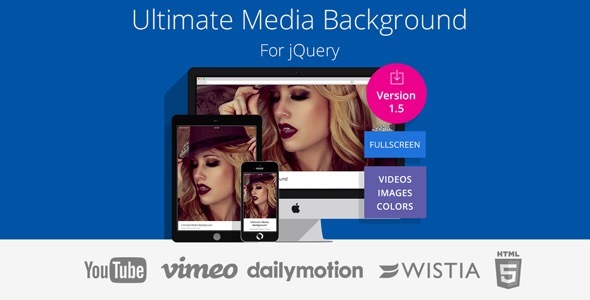 Supports videos from YouTube, Vimeo, Wistia, Dailymotion, and HTML5. Just link UMBG’s CSS file to your html page and add jQuery and UMBG’s script file to your specific html page and set the options you need. 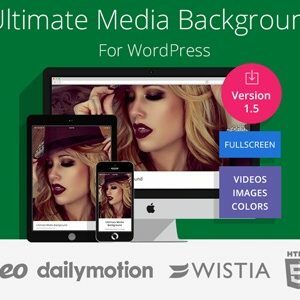 Page-Up-Down (PUD) allows the page to be scroll up and down to display a full view of the media background. Fully adjustable for all your needs. Fade-In-Out (FIO) lets you set an opacity (transparency) effect for a better view of the media background. What media can I use? Mobile devices do not autoplay videos but UMBG replaces them with a poster image that you pre-select. You can use UMBG’s mobile device options to enable or disable displaying on mobile devices. What UMBG does not do? UMBG is not a media editor. 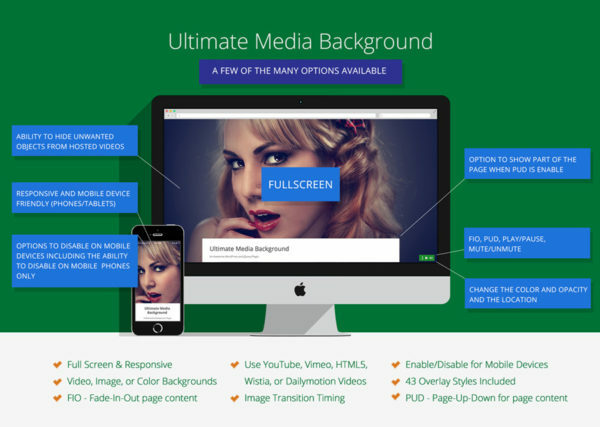 It only lets you use the media you select as a full screen background and helps you adapt the media to a page with the available options. For media needs that go beyond what UMBG can do please use a media editing software to modify the media file further or consult the proper professional. Does it include videos or images? UMBG does not include any media. It does not include any videos or any images. You must use videos from the supported video hosting websites or use an HTML5 video or upload your own images to use with UMBG. Only the overlay patterns are included with UMBG. 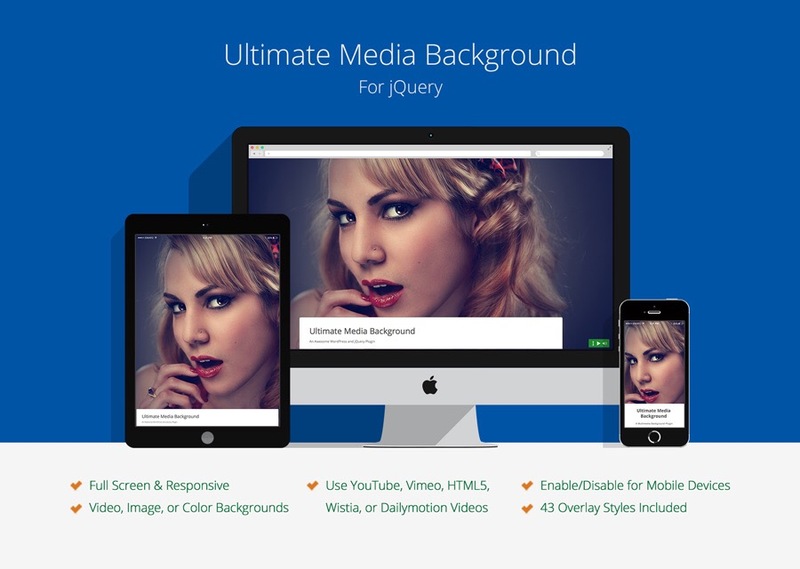 UMBG requires jQuery version 1.11.x or 2.1.x.